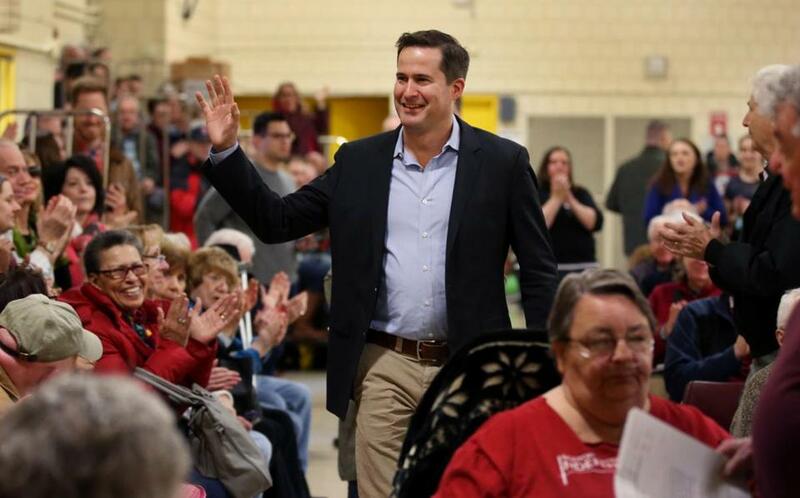 Congressman Seth Moulton arrived for a town hall meeting at North Shore Community College on April 8. “Get over it.’’ That’s what US Representative Richard Neal told a fellow Democrat still bemoaning the 2014 primary defeat of John Tierney — a lock-step liberal who represented his North Shore congressional district for nearly two decades — by Seth Moulton, a more centrist challenger. The mission for Democrats, argued Neal during a recent breakfast fund-raiser at a Boston law firm, “is to get to 218” — the number needed to win a majority in the US House of Representatives. In the meantime, the party should embrace every Democrat, from left to center, said Neal, the ranking Democrat on the House Ways and Means committee. In the party’s struggle to regroup after last November’s shocking loss to Donald Trump, the “purity” test — what it takes to be a Democrat — is pitting liberal activists against more pragmatic party leaders everywhere, including Massachusetts. “The energy is on the left,” acknowledged Neal in an interview. “But having said that, if you don’t start saying, ‘How do you get to 218?,’ the energy is for naught.” And Democrats certainly can’t risk losing any seat they now hold, he said. The party identity dilemma played out nationally when Bernie Sanders, the progressive darling of the 2016 presidential race, described a mayoral candidate in Omaha, Neb., who opposes abortion rights as a future star in the party. Abortion rights advocates quickly called out Sanders — who is not a registered Democrat — for betrayal. Sanders’ praise for the anti-abortion mayoral candidate also banged up against his concern that Jon Ossoff, a Democrat running for Congress in Georgia, is not “progressive” enough; Sanders has since issued a statement of support for Ossoff. In Massachusetts, activists on the left control the debate on a range of issues. Post-November, they even pressured their heroine, Senator Elizabeth Warren, to change her mind about supporting Ben Carson, Trump’s choice to lead the Department of Housing and Urban Development. But carrying the demand for ideological purity to Washington, where Republicans control Congress and the White House, undermines a party that needs to grow its base, not shrink it, said Neal. “If you consider today that one-third the Democrats in the House come from Massachusetts, New York, and California, we have an arithmetic problem,” he said. To grow the party beyond the coasts, said Neal, candidates must “fit the DNA of the district.” Too far out of touch on cultural and economic issues, and they just can’t win. Running a campaign in sync with voters’ values made Ossoff competitive in Georgia’s conservative Sixth District: “He did not run as a California Democrat,” explained Neal. Demography as much as geography has determined the Democrats’ defeat, despite a decided popular vote victory in the presidential election. 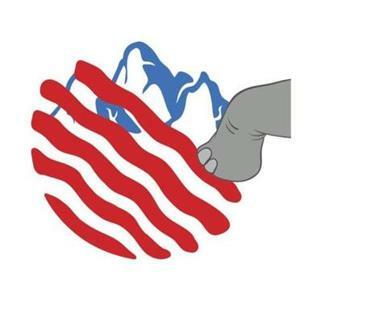 Politically, Massachusetts and Georgia are on different planets. But Moulton’s district, which is more conservative by Bay State standards, is considered fertile territory for a moderate Republican with liberal social views. Still, Moulton, an Iraq War veteran, won a second term in 2016 by default; he was the only candidate to file in the race. The concern about him from fellow Democrats may be less about the depth of his liberal heart and more about his willingness to challenge his own party. After toppling Tierney, Moulton has been arguing that Democrats are out of touch with middle-class voters. Last fall, he supported an unsuccessful effort to oust Nancy Pelosi as House minority leader. His name often comes up as someone who might be tempted to challenge another longtime incumbent liberal — Senator Ed Markey. But Neal said he could never accept “the idea we’re going to lose a seat in Massachusetts” because Moulton might ruffle some liberal feathers. There’s danger in pushing the party too far to the left and imposing rigid orthodoxy on every Democrat. The problem is figuring out where to draw the line between commitment to principle and creating a one-size party suitable only for zealots.